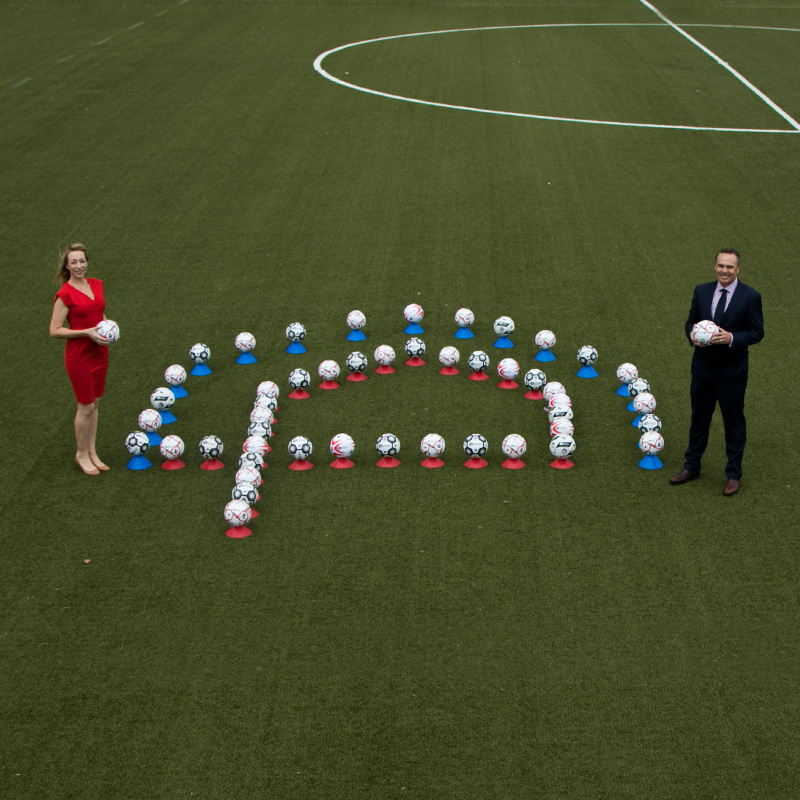 PICTURED: Northern NSW Football Chief Executive Officer, David Eland and Newcastle Permanent Manager – Sponsorship and Internal Communications, Danielle Lilley, pictured with the range of football’s that have been distributed across the 10-year partnership. Thursday 1 February, marks a big day for community football as registrations for season 2018 open and Newcastle Permanent announces it will continue its major sponsorship of Northern NSW Football to 2020. The ongoing investment by Newcastle Permanent marks 10 years this year, and the recent qualification of the Socceroos into the FIFA World Cup Russia and the Matildas into the AFC Women’s Asian Cup is expected to drive significant growth in registrations for the 2018 community football season. Northern NSW Football CEO David Eland believes it is the perfect environment to embrace football. “Our national teams are smashing it on the international stage and our local A-League and W-League teams are currently very competitive which stirs a real sense of pride and passion for the game. Combine this with the announcement that Newcastle Permanent will continue their support for another three years and football in NSW is well positioned for a successful 2018 season,” said Northern NSW Football CEO David Eland. Newcastle Permanent’s investment, which now totals more than $2.5 million over the life of the partnership, covers all aspects of Community Football, recognising volunteers, coaches, clubs, and referees with award recognition programs and once again providing more than 9,000 free footballs to Entry Level players across the footprint. “Newcastle Permanent’s continued support provides us with the necessary financial support to enable growth in football participation and will empower the game to continue to be well-serviced by volunteers, coaches, clubs, and match officials across Northern NSW,” Mr Eland said. Newcastle Permanent CEO Terry Millett highlighted the success and longevity of the partnership. “This year marks the tenth year of this successful partnership, evolving the partnership from supporting targeted regional high performance football programs in the New England and Far North Coast region to today encompassing the major Community Football partnership across all of Northern NSW. “Encouraging children and families to lead active, healthy lives is an integral component of our community sponsorship program. Football is a sport inclusive of gender, age, and ability—making it accessible to almost everyone,” Mr Millett said. Football registrations across Northern NSW and around Australia officially open tomorrow, Thursday 1st February.